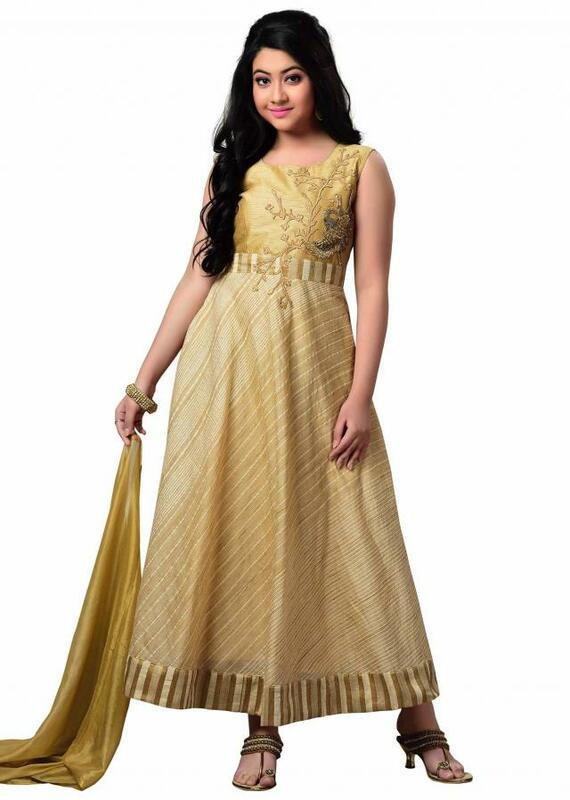 Beige Banglory Silk and Cotton Jacquard Churidar Suit with Embellished Bird Motif. 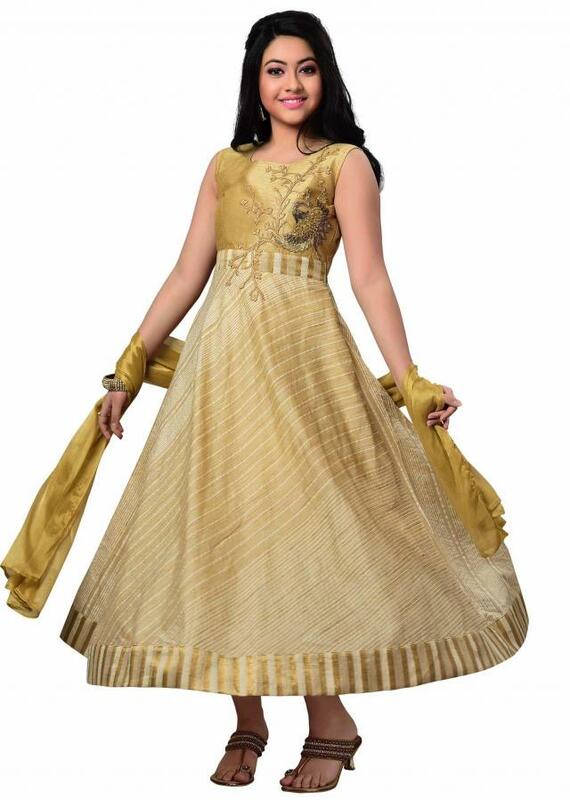 This beige designer suit features an anarkali pattern. 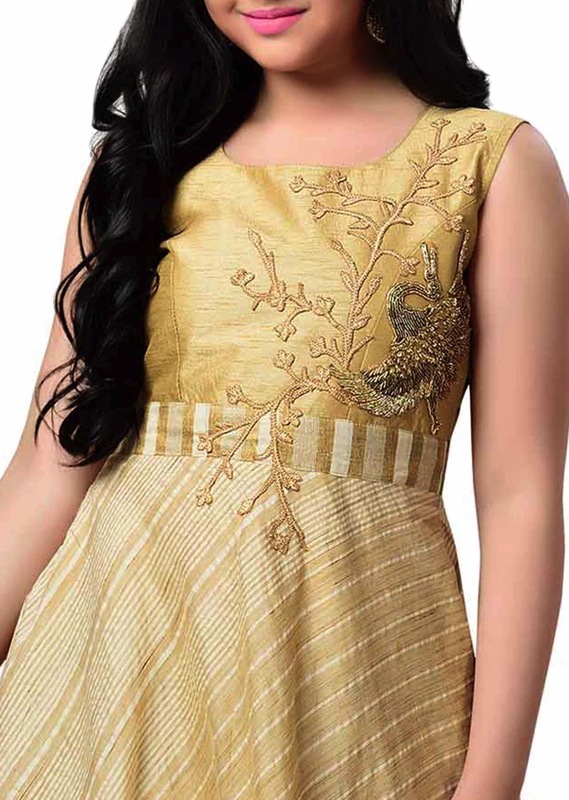 The U-necked cotton jacquard top comes with a bird motif and floral patterns on the bodice. The flared kali has directional striped pattern. 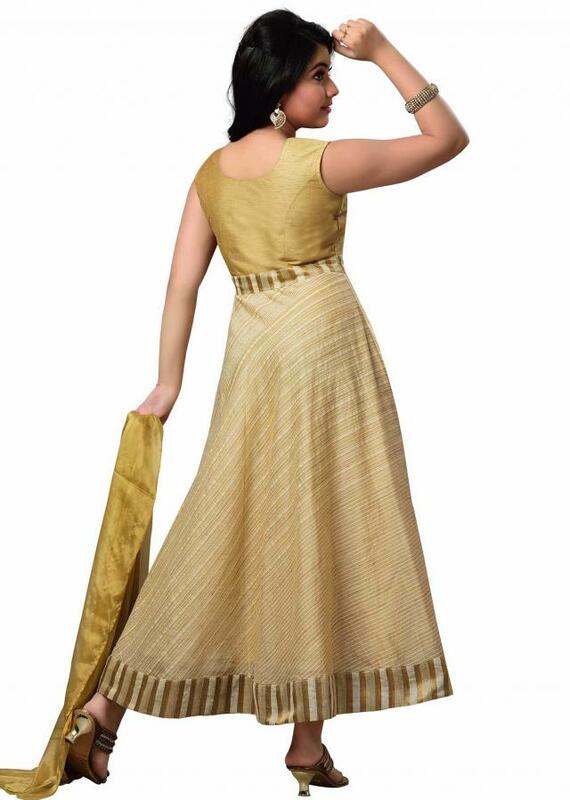 The churidar and dupatta are made from banglory silk.